Free parking in parking lot adjacent to restaurant. Fridays and Saturdays: DJ's and dancing after dinner. Show Tune Tuesdays every Tuesday 9pm-2am with VJ Rompy. iThursdays!, every Thursday, bring your iPod or iPhone and you be the DJ. dbar can be booked for many different types of events. •Cocktail parties, up to 180 people. •Large scale club events with DJs and dancing from dbar’s amazing sound and lighting system, also up to 180 people. Went here for dinner on a Friday night. I ordered the chicken under a brick. I liked that I was able to substitute Brussel sprouts for the mashed potatoes. My husband got the burger and said it was very good. Our drinks were well made and our server Jeff was excellent! Will be back and maybe try brunch next time. Great evening. Good burgers and salad. Excellent drinks by Julian and great service by Sharon. Fun show tunes Tuesday. Party of 10, excellent coordination on drinks, apps, dinner and desert. Vietnamese fries mmm. Definitely will be back. Fun night. Always a great meal with excellent service. Been coming here for years. The salmon was delicious! I love it! Have been to dbar a number of times and it never disappoints! The food and drinks were great, they had a special 3-course meal and it was wonderful. The food and drink pairings were very nice. Because we were there late on a Friday night for dinner it transitioned into the usual Friday karaoke which was super fun as well. We went for Restaurant Week and the menu for this was amazing. It was three courses and for an additional cost you could pair each course with a wine. What a great idea. We has mussels in a tomato sauce which was wonderful. I had the fish and my husband had the beef, very well done. Dessert was a chocolate cake and an almond cake, very tasty. Kudos to our food server Sharon, made us feel welcome and she was very professional. I love Dbar! The food and cocktails are always fabulous, but the service is even better. I've always found that the staff at Dbar genuinely want to give you the best experience, and they will happily go out of their way to do so. Don't miss this Dorchester gem! First time for brunch and it was great! Decent bloody mary selection and I enjoyed the drink and baked lobster omelet. Steak and eggs looked pretty good to if you enjoy that combination. Stellar evening as usual, thanks Crew Dbar! The Dbar is such a cool inviting spot. The food is delicious and the wait staff are always awesome! I never had a waiter I didn’t love and feel like he was my friend at the end of dinner! I brought 3 friends with me this time who had never been and they enjoyed themselves. We had to wait a bit for our reservation since it was so busy. The amazing staff was so nice and apologetic and sent out deserts for the table. The food was delicious, the staff was wonderful and very attentive. I would definitely go back! Best Mac and cheese ever. Vietnamese fries were okay but a little dry, and the Cilantro seemed to be separate rather than cohesive to the dish. The chicken sliders were crispy and fresh - delicious. The service was amazing. Server and wait staff were wonderful (even giving us individual checks) for a group of 12. Food enjoyed by all. 10 stars out of 5! Thanks Dbar! Great atmosphere and vibe. Gay/straight clientele. Food and cocktails superb. Best beef bouguignon ever! Friendly and good looking staff! Never a disappointment at DBar. 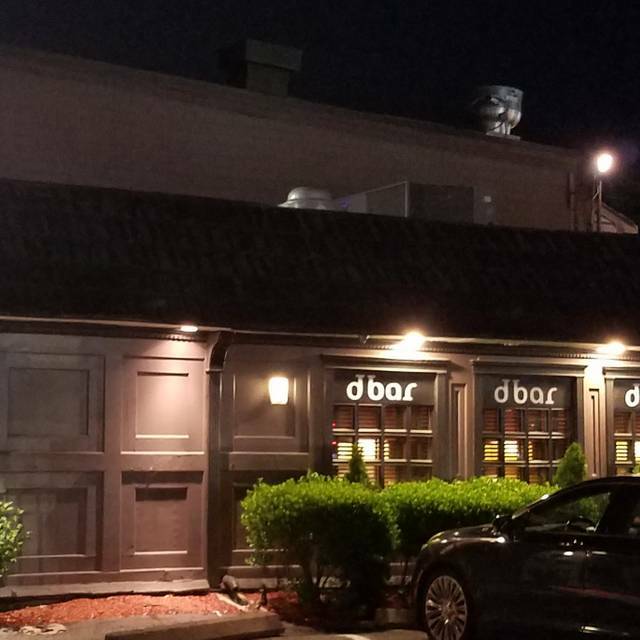 When we want to have a great meal, excellent service and a fun celebration, we have relied on dBar as the place to go. We didn’t have to get too dressed up, and the food and seasonal changes make this restaurant a fun place to go all year round. I had the veal Osso Bucco and it was so filling that I was struggling. My husband had the roasted cod to his delight. I am so very happy that we have not been disappointed with any meal we’ve had. Our server Dominic was attentive and laid back making the whole night more enjoyable. Thank you to the DBar staff as I will always visit for a great tasteful meal that is intricate and full of flavor. Brunch was amazing!! Potatoes seasoned with a delicate rosemary that I’m still thinking about them today! Service was impeccable. Drinks were perfect. A neighborhood gem! Is that it was cool by the door. The staff did everything to make us more comfortable. Can’t wait to go back, food was fabulous and the Sangria was to die for! 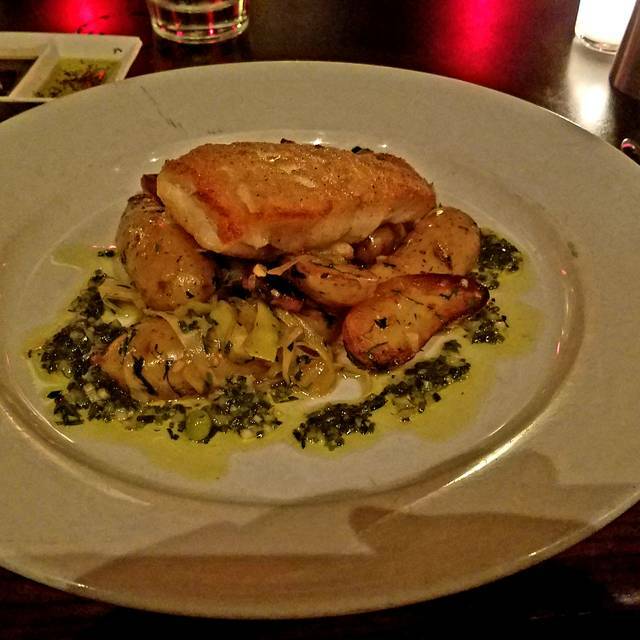 dbar is consistently the best dining experience. We also go for the amazing staff as well. Love Dbar! We’ve been going here for years! It never disappoints! Service and food is second to none, always a superb experience! Great food and great service. Our server was incredible. Attentive friendly and knowledgeable. I believe her name was Kate. Service was great. The table was ready on time. They were able to accommodate a big group including last-minute changes. Karaoke was a lot of fun but started 45 minutes late. Always a great experience at DBar. Never any complaints. The food, vibe, drinks and staff are always perfect. 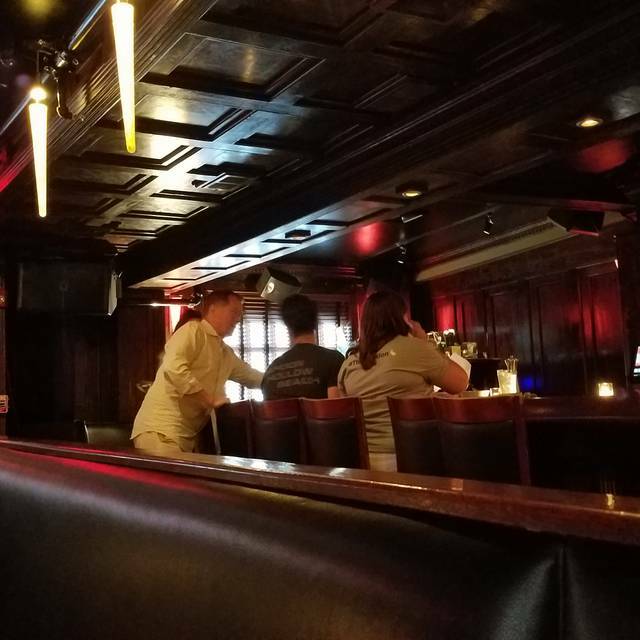 Sat at the bar and enjoyed great food, drinks and conversation with staff. look forward to going back. I had a great time at dbar. Food was good and the service was excellent. Mookie was appropriately attentive but not intrusive. Drinks and food arrived in a timely manner. The lobster omelette came recommended highly and it met expectations. The Pomosa was very interesting. Would like to try other variations on the mimosa next time. Delighted that we could successfully score a booth through an open table reservation! Food is consistently good & sometimes inventive. Neighborhood AND LBQT friendly. One of my absolute favorite places to eat in Boston. I love trying different things on the menu and have never once been disappointed! When it's nice out, the back patio is a great place to enjoy your meal. The cocktails are great as well. Beyond that, Dbar has such a fun atmosphere.